When 4-year-old Ian Christensen was diagnosed with Type 1 diabetes in 2016, his devastated family quickly turned to one of their own -- Ian’s uncle Aaron, who was diagnosed with the disease in his teens and ultimately lost both his eyesight and a kidney in 1996. "You can’t let the diabetes control you," Aaron recalled telling his nephew. "You have to control it." 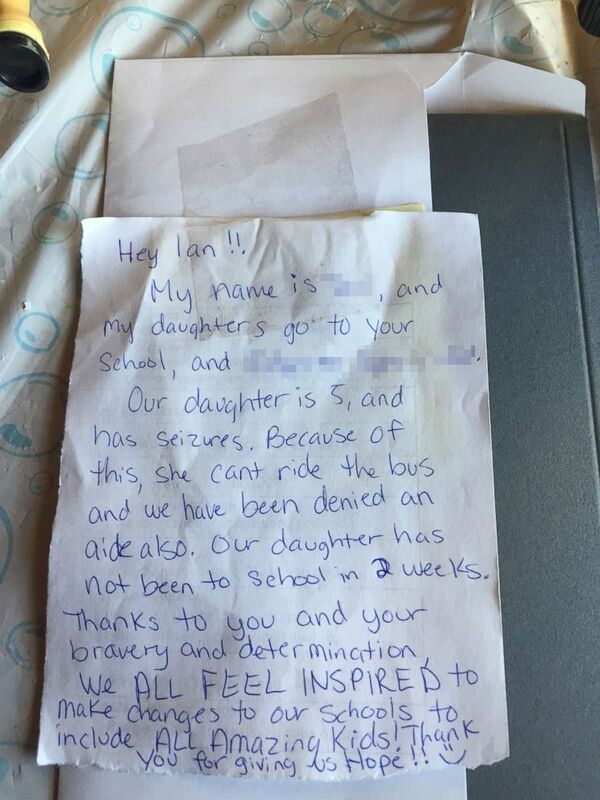 So when Ian, now 6 years old, found out he wouldn’t be allowed to ride the school bus this year with his friends due to his disease, he decided to take action. It all started a few months ago, when the Tri-County Area School District in Sand Lake, Michigan, explained to Ian’s parents that due to the extremely sensitive fluctuation of his blood sugar Ian couldn’t ride the school bus alone. His parents asked the school to provide an aide but were denied, and the two parties then went back and forth over other options for Ian, including a private bus ride, according to Ian’s mom, Katrina Christensen. But that last option would have meant her son had to travel on a private bus and arrive at school after all of the other kids -- something that didn’t sit right with Katrina Christensen. "You’re not doing that to my kid. He’s not gonna be any different than he already he is," the mom told ABC News. "This is my kid and I got to do what I got to do," she added. 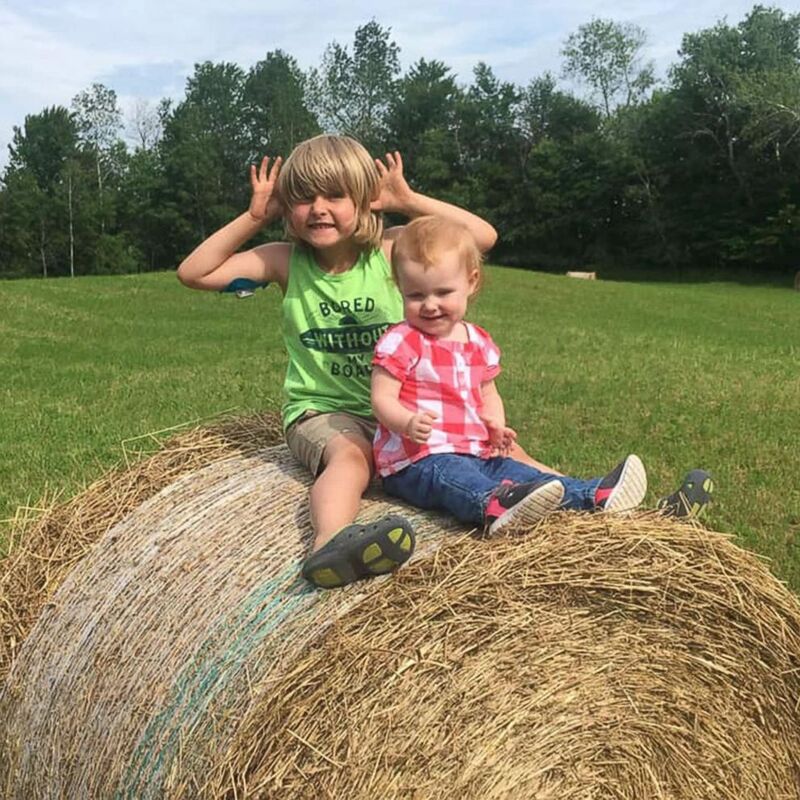 6-year-old Ian Christensen of Sand Lake, Mich., poses for a photo with his younger sister. Katrina Christensen and her son ultimately came up with the idea to send him on the school bus with an alert dog who can quickly sense when Ian’s blood sugar drops or spikes. It was an idea that stemmed from a year ago when Ian started pestering his parents for a "regular" dog. "I mentioned it to Ian... and we said, 'if we’re gonna get a dog, let’s get one that is trained,'" Katrina Christensen said. To prepare, the family spent time watching YouTube videos on how alert dogs are trained, hoping to impress upon Ian how much time and money it takes to get these dogs up to snuff. The family also met with another diabetic child in the district who was raising money for her own alert dog so that Ian could ask questions and learn more about her experience. Regardless of their preparation and research, Katrina Christensen and her husband had to explain to their son that it would take time -- a few years at least -- to raise the $25,000 they needed to buy the dog. 6-year-old Ian Christensen of Sand Lake, Mich., who suffers from type 1 diabetes, poses for a photo with his younger sister. 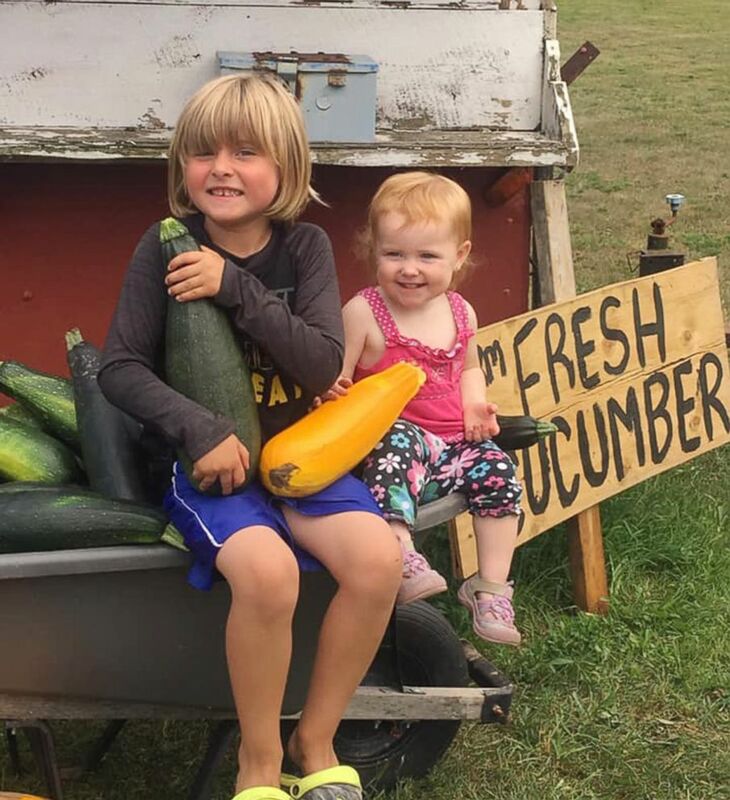 So while his family sold backyard vegetables from their garden outside their home, Ian started selling lemonade, eagerly telling everyone he could about why he was the raising money. And when the summer season turned to fall, Ian decided he was going to continue his family’s tradition of selling pumpkins -- a seasonal item his family has sold for decades -- to further contribute to his fund. His smile and can-do attitude quickly won over his customers, who were stopping and giving him $20 or $50 bills for pumpkins that the family usually only sold for $5 or $8, depending on the size. "We were expecting to raise a few hundred, and do a few fundraisers over the next year," explained Katrina Christensen, who said her personal Facebook post quickly got picked up and shared 1,500 times in the first 24 hours. Within days, the post was shared over 10,000 times, encouraging Katrina Christensen to create a fundraising page to facilitate the inundation of donation requests she was receiving. "I wasn’t prepared at all," she said. "The first night we raised almost $2,000, and I said 'I’ll be happy if it’s over $2,500 tomorrow.' And when I woke up it was $15,000!" she exclaimed. "You can’t even imagine what it feels like to have so many people show you so much support and love," she said. "There’s one person who donated $1,000. I don’t know who this person is. I’ve never met this person. But someone felt in their heart to donate $1,000 to a boy they never met. How do you even fathom that?" 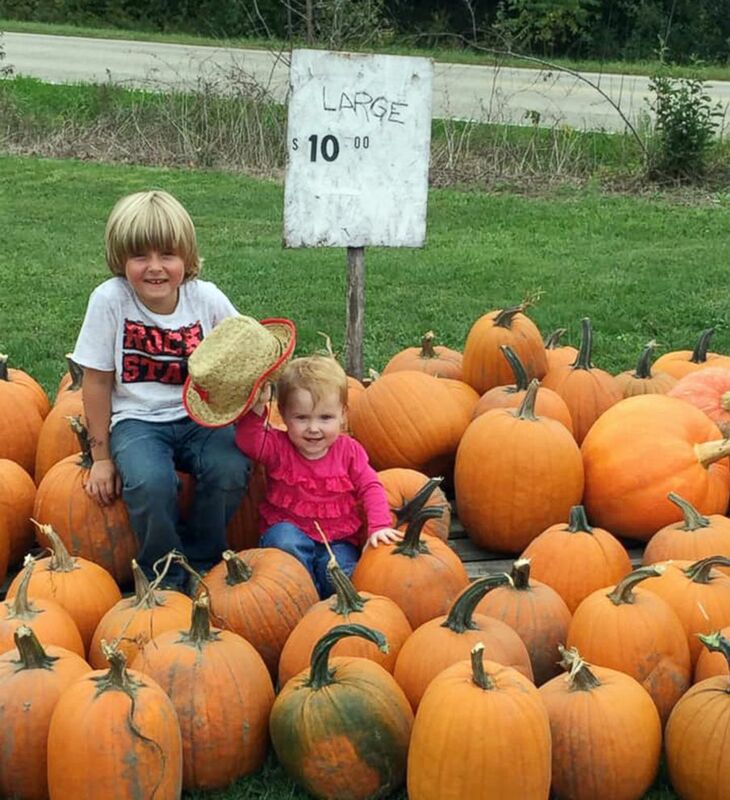 6-year-old Ian Christensen who suffers from type 1 diabetes poses for a photo with his younger sister while selling pumpkins outside his home in Sand Lake, Mich., in hopes of raising money to buy an alert dog that can help him with his disease. People have driven from four or five hours away, insisting on waiting in line to ensure they get to speak to Ian themselves, said the mom. His story has also reached other families in the district struggling with their own school battles. One parent, whose child also wasn’t allowed to ride the school bus due to medical conditions, even dropped off a letter to her home thanking the Christensen family for their “bravery and determination” and for inspiring others to “make changes to our schools." Katrina Christensen received this note from another parent at her son's school whose 5-year-old daughter suffers from seizures. "In order to protect family and student rights (FERPA), we are not able [to] comment in regards to specific students and/or their personal needs. Tri-County Area Schools is dedicated to supporting our students in all that they do and helping them to achieve their goals. The well-being of our students always comes first." Ian’s fundraising page, which has raised nearly $24,000 as of Tuesday afternoon, successfully secured Ian’s new dog, who will be coming from Alert Service Dogs in Indianapolis confirmed Katrina Christensen. So how did the parents break the good news to Ian? "When we picked him up from school yesterday, I said 'Daddy wants to tell you something,'" Katrina Christensen said. "Guess what?" Ian’s dad, Jeff Christensen, asked. "You raised all your money. You’re getting your dog," his dad said. 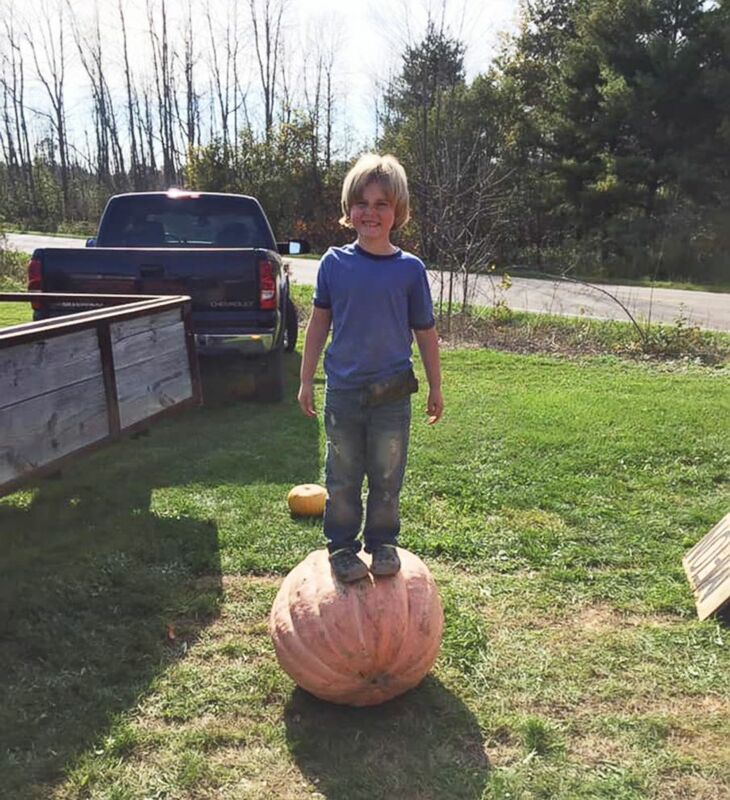 6-year-old Ian Christensen who suffers from type 1 diabetes is selling pumpkins outside his home in Sand Lake, Mich., in hopes of raising enough money to buy an alert dog that can help him with his disease. Ian started hollering and cheering, according to his mom, but he didn’t stop there. When he learned their fundraising page had raised more than they could ever need, Ian insisted on spreading the wealth. "Any money left over," Katrina Christensen said, "Ian plans to donate so that another child like him can get a dog or a pump or whatever it is to make diabetes easier because he knows how hard it is."